Please see librarian if you need login information. http://www.khanacademy.org/ -- Outstanding Instructional Videos!!! There are four sections of algebra this year. This is a faster-paced math where students will relate and apply algebraic concepts to geometry, statistics, data analysis, probability, and discrete mathematics. The curriculum follows the textbook Discovering Algebra (2nd edition) and aligns with the high school algebra curriculum. Students who successfully complete 8th grade algebra may study geometry their freshman year. To help your child, we encourage parents to utilize the companion website at http://math.kendallhunt.com/x4540.html. You'll find practice problems, enrichment resources, study guides, and other tools to help your child succeed. There are even parent guides for each chapter, helping you "refresh" your algebra skills and assist your child with their homework. Please understand that Discovering Algebra relies on student investigations to understand algebraic problem-solving. Rather than just learning the "steps", students begin each lesson with an investigation that requires independent thinking and student inquiry. There are two sections of "traditional" pre-algebra. This course provides a standards-aligned curriculum that meets and exceeds the Illinois 8th grade math state goals. This is a continuation of the 7th grade math class and will be taught in a similar way, but the content is more challenging and complex than in 7th grade. The curriculum loosely follows the Glencoe Pre-Algebra textbook (2001 edition), but teachers supplement with many activities and lessons that extend beyond the textbook. Students who successfully complete pre-algebra may take algebra their freshman year. There are two sections of a "pilot" pre-algebra curriculum called Essentials for Algebra. This is a curriculum we are trying for the first time at Manteno Middle School. 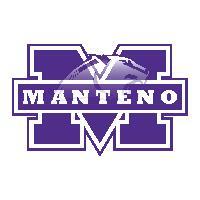 It was piloted successfully at Manteno High School last year. The authors explain that "Essentials for Algebra offers a unique progression for introducing and expanding problem types. When a new skill or operation is introduced, it is presented in a highly structured, step-by-step manner. Work on new skills and problem types develop in small increments from lesson to lesson. Students are never overwhelmed and receive the practice needed to become skilled at solving complex problems independently." 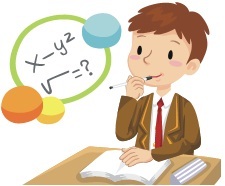 Students who successfully complete pre-algebra may study algebra their freshman year. You can view the learning objectives at the publisher's website at https://www.mheonline.com/assets/sra_download/EssentialsForAlgebra/MoreInfo/Essentials_Objectives.pdf.